Max comes from a family of scientists and has worked on diverse projects across Biochemistry, Computer Science, Immunology, Genomics, and Systems Biology. 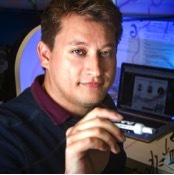 In 2014, Max obtained his Ph.D. in Bioinformatics and Systems Biology from UCSD building mathematical models of the single-cell immune response and joined the Salk IGC in September of that year. As director, Max oversees and trains a talented team of analysts and interns, liaises with the Salk sequencing core and IT department to ensure the smooth flow of data from sequencer through analysis, educates the Salk scientific community about the strengths and limitations of various technologies and analyses, and collaborates with dozens of labs on exciting bioinformatics and genomics projects. In addition, as Staff Scientist, Max applies for collaborative grants that focus on the development of new integrative bioinformatics tools and approaches. Please feel free to contact Max or the entire IGC (igc@salk.edu) to start our collaboration. Galina joined Salk Institute in 2016. Prior to Salk she worked at the Scripps Translational Science Institute as a bioinformatics programmer where she developed several pipelines and tools, specializing in whole genome and exome analyses. 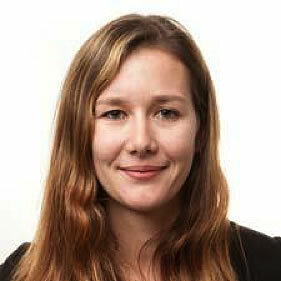 She is the author of several papers including a recent one that aims to understand the genetics of disease free aging. Prior to STSI she completed the bioinformatics graduate certificate from UCSD Extension and worked under the supervision of Dr. Gerard Manning studying the evolution of kinases here at Salk. As a bioinformatics analyst at the IGC, Galina enjoys working on many diverse biological questions, developing tools for genomics analysis, and looks forward to many new collaborations in the future. Ling joined the IGC in late 2016 after obtaining a Ph.D. in Molecular Biology and M.S. in Bioinformatics from the University of Michigan where she studied the regulation of plant root development and comparative genomics. 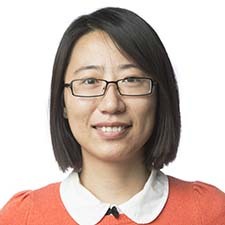 Ling has a strong background in genomics, plant biology, bioinformatics, and statistics, which allows her to tackle complex data integration projects at the Salk. Specifically, Ling is interested in integrating the high-throughput sequencing data with metabolomics and/or proteomics data to determine the driving factors for a wide range of biological phenomena. April joined the core in April of 2018! She obtained her Ph.D. in Quantitative & Computational Biology and MA in Molecular Biology from Princeton University in 2015. During her graduate work she studied transcriptional control in the malaria parasite P. falciparum, and molecular mechanisms of somatic and reproductive aging in C. elegans using a whole-genome approach. After graduate school April completed a post-doc in the lab of Abraham Palmer, working on several genome-wide association studies to find the genetic basis of complex behavioral traits. April has a strong background in experimental design, genomics, bioinformatics, statistics, population biology, and high-throughput sequencing technologies and has worked with many model and non-traditional organisms. April is looking forward to participating in a wide-range of collaborations as a part of the IGC. The IGC is committed to training the next generation of bioinformatics scientists. An internship with the IGC provides hands-on experience with analysis of cutting edge biological datasets, HPC computing in a Linux environment, bioinformatics tool development, and participation in local scientific conferences. If you are interested in an internship at the IGC, please send a cover letter and unofficial transcript to igc@salk.edu.